Vostanik Manuk Adoyan flees from Armenia during the genocide perpetrated by the Turkish, to settle in New York with his father. During his teenage years, the artist is influenced by the impressionism and cubism. 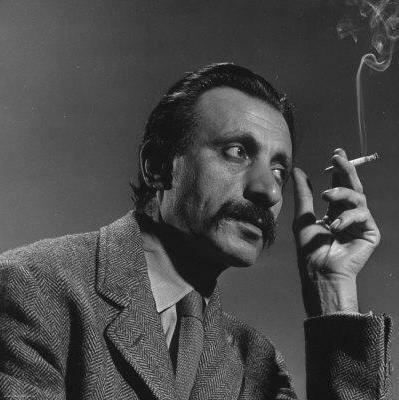 In 1931 he gets married and, ashamed by his Armenian past, he makes himself known by the name Arshile Gorky, which sounded more Russian. A few years later, he meets the Chilean surrealist Roberto Matta and becomes interested by the philosophical proposal of the movement. Particularly, with the unlock of the unconscious in painting. 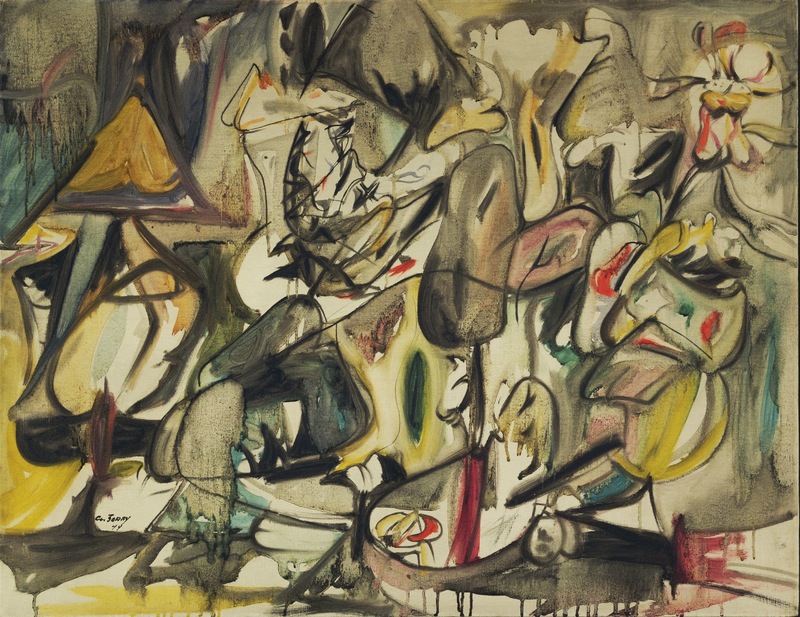 Because of that, his work slowly turned towards abstraction and, like that, Gorky is going to be known as one of the pioneers of abstract expressionism. During this period, they will say his paintings are “biomorphic forms floating over a background of melting colors”. In 1944, Gorky has a dinner with André Breton, the author of the Surrealist manifesto and the most important figure of the movement. In this curious (and probably hilarious) meal, they serve artichokes to the guests. In a moment, Breton lifts a leaf of the vegetable up in the air and, examining it, he says: “to me, this is an owl”. When Gorky returns to his studio, he names his latest painting after the remark of the poet. In The leaf of the artichoke is an owl, we see unrecognizable shapes, which allow an unconscious free association. The brushstrokes intertwine one another, giving the work fluidity and continuity. The palette is dull and earthly, balanced by little details of intense color that interrupt the depressive mood of the composition. ~ by Álvaro Mazzino on May 6, 2011. Drug and alcohol addiction is not an academic assignment. If a bag is too heavy or has weird shape that makes it difficult to carry around, chances are people will stop using it. This one is super obvious. Regardless of how beautiful and unique it is, it won’t last. And chances are it will go away within the season. This entry was posted on May 6, 2011 at 10:01 and is filed under Abstract expressionism.You can follow any responses to this entry through the RSS 2.0 feed.You can leave a response, or trackback from your own site.